Dan was always a man that measured his life in board feet, at the early age of 18 he started at the House of Cedar as a delivery driver, He continued on to Cedarama where he did sales and delivery. His career in the Cedar industry took a huge leap when he met his friend and mentor, Ed Corman (owner of The Shake Shop). Under his mentorship, Dan became well diversed in the Cedar and Pine Lumber industry. After 24 years and the loss of his Mentor and Friend, he knew it was time to move on and he left the place he called home for 29 years. In 2013 Crosby Cedar Products opened its doors and continues to run as one of Regina's local family owned businesses. 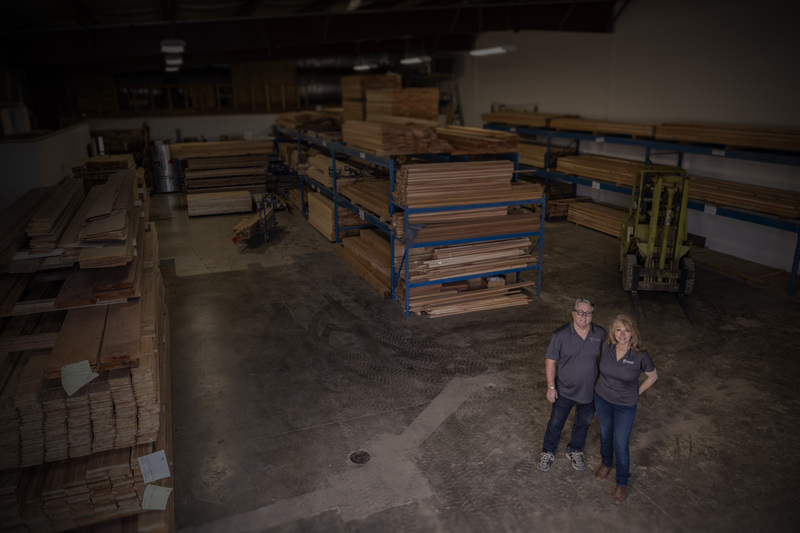 Dan & Juanita together along with their son's continue to build a business where clients have options for both their interior and exterior projects. Being a company that believes in Eco Friendly products, they pride themselves on supplying both commercial and residential eco friendly options. Our showroom is full of products that we have made from recycled cedar in our shop, which goes to say that options are endless with cedar. People Do Business With People and successes are simply friends helping friends. We are solution providers backed by top suppliers in the industry. ​At Crosby Cedar Products, there is always more than just a good shake, there is a strong friendship.